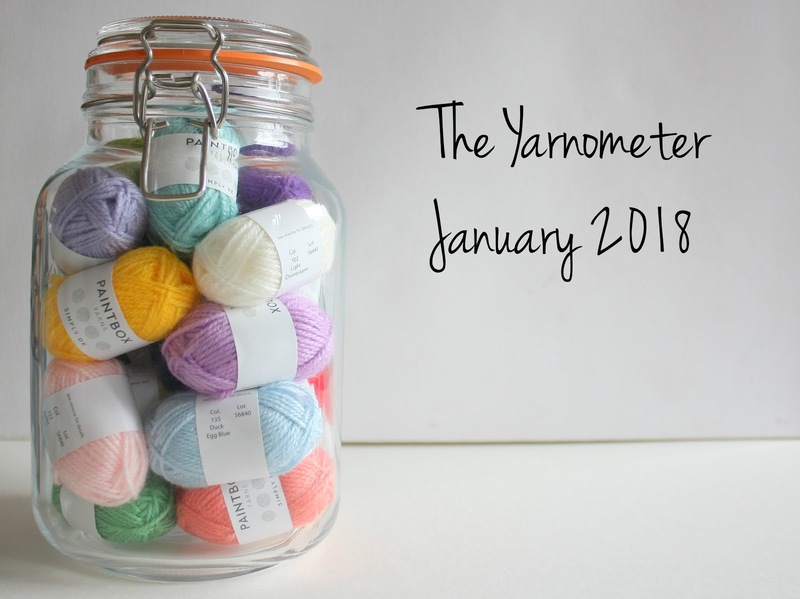 One of my New Year’s resolutions was to keep track of how much yarn was coming in and out of my house, and what I was knitting. 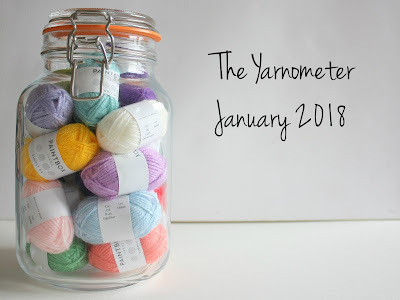 So here’s a new blog feature, the Yarnometer! My first non-design project if the year: Selbu mittens. This was a easyish foray into colourwork mittens with the hope of knitting some more complicated designs later in the year. The mittens are lovely; I’m pleased with how my colourwork turned out; they fit me; they’re super-cosy and great in the snow; but it turns out I don’t like wearing mittens... I might wear them a few more times this winter, but they are likely to be re-homed at some point. You can find out more about my mittens in their FO Friday post. I also have two new designs to give you a sneak peak of: my Rocket jumper and Rocket cushion. * Both these patterns have been a long time in the works - I wrote the pattern for the cushion last summer, but only finally started it over the Christmas holidays. Both the cushion and jumper feature a brightly coloured rocket,** and my three year old has insisted they are both for her, which might not have been quite the plan, but never mind, she’s certainly excited about them! An excellent start to the year! *Both designs will be released later in the year. If you want to find out when they’re launched, why not sign up to my newsletter? People on my mailing list always get an exclusive launch discount for new patterns, and a discount code for 10% off all patterns in my Ravelry store, all year round. **You might recognise the rocket as it featured on a matching blanket last year. You can pick up the blanket pattern from my Ravelry store, and if you know you want to knit all the items in the collection, you can pick up the ebook at a special discounted rate until I add the next pattern. That is a great start to the year and thank for my 100g! I love those rocket designs, although I’m now going to have to make them as well as everything else! You have to stomp adding things to my list! Ha ha! Yarn Along: Hurry up Spring!